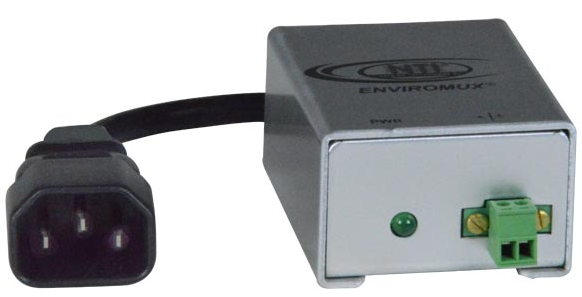 The ENVIROMUX® AC Voltage Detector with Relay detects voltage from 50 to 250VAC when connected to an environmental monitoring system with dry contact inputs, battery, sensor, or other device. The internal relay closes when sensing voltage above 60VAC and opens when sensing voltage 55VAC and below. Opens when sensing 55 VAC and below. Attached 3-foot (0.91-meter) power cord.